Has water been trying to erode your fence? 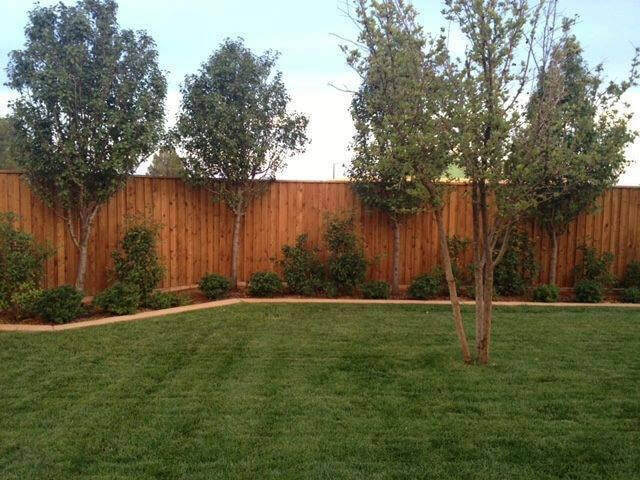 Do you need your fence stained? Do you want to add color and shine to your cedar fence? Staining and sealing will enhance the life of your fence, protect it from rotting, weather and it will bring out the beautiful look of the fence. We can do fence restoration and/or maintenance, it is the best to allow your fence to settle and dry to stain and seal the wood. Here are a couple popular options that we can do. By doing the bleaching process it will remove the grey appearance of an aged fence. The process will return the fence back to its natural color. Once this is done, it will be better to stain and seal your fence to prevent the fence from returning to a grey color. Let us help you provide a longer life to your wood structures. We will come and give you a free estimate, Call us today at 817-382-4614. Or fill out our instant free quote form.